Welcome to Uber, the easiest way to get around at the tap of a button! Sign Up today to be seamlessly connected to nearby drivers in your city. A reliable ride anywhere at any time of day or night, is at your fingertips. Uber is revolutionising the way that cities move, work, and thrive. Click the "Shop Now" button to sign up to Uber and receive cashback on your ride. This offer is only available for new customers who sign up for Uber. You will receive cashback after downloading the Uber app and completing your first ride. This offer is only available for Uber riders in Australia. Please Note: The cashback rate on the Uber store page displays in USD, however it will be converted and displayed in AUD on your 'My Rewards' page. You must go through Cashrewards on your mobile device to be able to track to Uber. 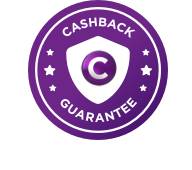 Cashback will not be paid in conjunction with any other offers or coupons unless specifically listed on this site.